The severe problem that linux suffer on a desktop is the bad performance of flash. Adobe is not much interested in improving the flash performance in linux as they are concentrating on improving their market share on mobiles. And our major source of online videos is youtube. So would it be great if we have a native desktop app for linux to view the youtube videos without flash? Yes, the developer of Minitube, Flavio Tordini also thought like that. And he has created Minitube. 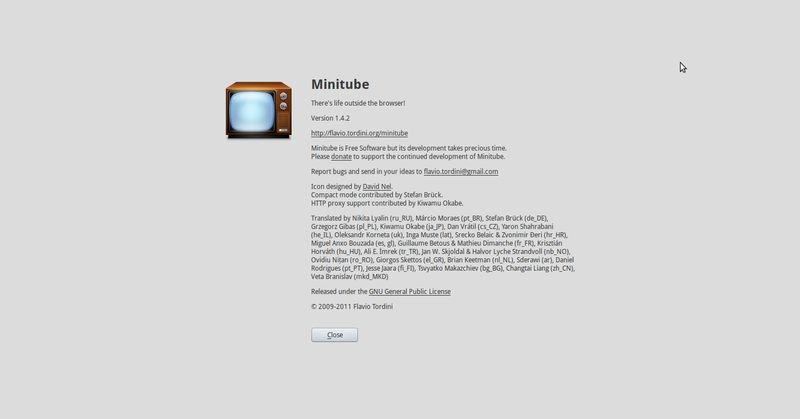 Minitube is created using Qt 4.6 and you need to install Qt dependencies in ubuntu in order to work. Once you have the dependencies you can download the tar file for linux from here and extract it. Then you just need to double click the file called "minitube" in it to run it. The better way is to install it using the package manager of your distro. 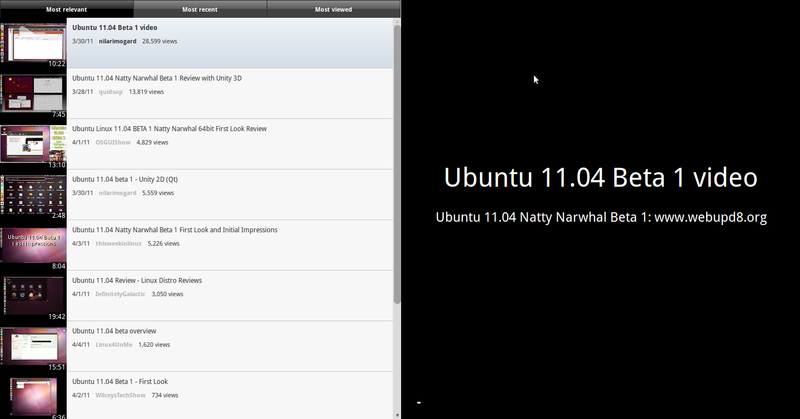 The version of minitube in ubuntu software center is 1.1.1 and the latest version is 1.4.2. 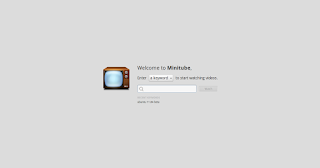 Let's see some of the features of minitube. Minitube is light on your computer:Minitube consumes less CPU and thus preserves battery life and keeps your laptop cool. That's because Minitube does not use the Flash Player. 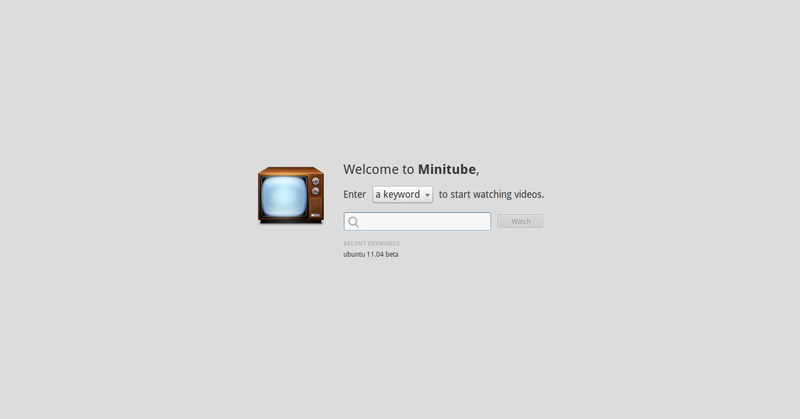 Minitube can play High Definition:Minitube plays HD videos up to 1080p. 1-Click Downloads:You can download your favorite clips to your computer and put them on your portable device. Downloaded files are in MPEG4 format which is compatible with most devices, including Apple ones. Includes Youtube "leanback" feature:Just search for something. Minitube automatically plays videos one after another. You can sit back and enjoy. In ubuntu/Linux Mint just copy paste the following commands to install the qt dependecies. Once you have the dependencies you can download the tar file for linux from here and extract it. Then you just need to double click the file called "minitube" in it to run it. If you liked minitube you can help the developer Flavio Tordini by clicking the flattr button so that a small amount of money will be added to the developer's account. Flattr is a social micro payment system aimed to make people share money easily on internet. If you want to know more about flattr,then check out this wikipedia article.